Saudo shared some of the news Safran will make at HeliExpo and discussed what is over the horizon for the company. Rotor & Wing International was recently granted an exclusive interview with Franck Saudo, chief executive of Safran Helicopter Engines, who spoke to us by phone from France. Saudo shared some of the news Safran will make at HeliExpo and discussed what is over the horizon for the company. Safran in September celebrated its 80th birthday, which Saudo said was a “great source of pride” for all its employees. They look back at having cut helicopter engine fuel consumption by 10 to 15 percent decade over decade while consistently producing more powerful turbines. 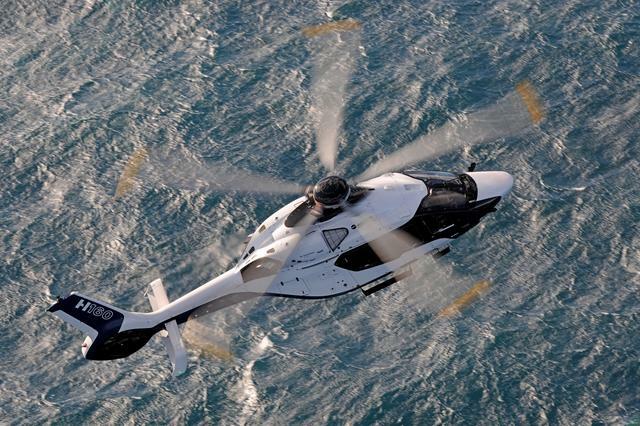 As an engine manufacturer 100 percent dedicated to the helicopter market, Safran is keenly aware of rotorcraft fortunes but has seen recent growth in a flat market, he said. By investing 15 percent of all profits in innovation, the company is set on staying at the forefront of engine technology. How would you characterize what the market currently looks like? Franck Saudo: We see, in the short term, a helicopter market which is flat while at the same time we keep being optimistic with respect to the medium- to long-term outlook. I would say that we forecast over the medium- to long-term 2 percent annual growth. What are the main drivers of the market at the moment? For us, even if we are in a stable helicopter market at this moment, we saw an important increase in our activity in 2018 … [when] we produced 113 engines more compared to 2017. Key figures, in terms of production: 2017 was 707 engines and if I look at ’18 it was 820 engines. So, it means in a stable market, we increased activity, which is the result of an increase in market share. Back to our ambition to be the preferred helicopter engine, with a lot of humility, it shows we are going in the right direction. Is there a particular aircraft(s) that account for that increase? What we can say is that the light and medium helicopter market segments were the bulk of this increase. Any new engine technologies on the horizon in 2019? In 2019 will be an important year in terms of certification of new products for Safran Helicopter Engines. We will certify two new helicopter engines. One is Arrano 1A for the H160 Airbus helicopter. The second certification, beginning of 2019, will be the Aneto 1K, which is for the AW189 from Leonardo Helicopters. We will also certify in 2019 Arriel 1U, which is for the [Light Utility Helicopter] of HAL. … Why Arriel? It’s the most flown helicopter engine worldwide with over 50 million flight hours and also the best seller of Safran Helicopter Engines. Innovation is also preparing the future. I see four technological revolutions currently unfolding, the first of which is hybrid propulsion systems. We believe that over the medium- to long-term more and more helicopters or VTOL — VTOL being the drones for logistical missions or air taxi missions — will see a revolution in their propulsion systems migrating from exclusively gas turbines to a mix of gas turbines and electrical technologies. As part of the Safran Group strategy for the past 10 years, Safran Electrical & Power and Safran Helicopter Engines work together as a team to propose hybrid propulsion systems and we are on board, among others, the Nexus with Bell. What are you doing with additive manufacturing? Additive Manufacturing. We are at the forefront of that revolution with, today, eight parts certified and in serial production. We are also working on a demonstrator to be a proof of concept for the reduction in the number of parts of engines by 30 percent. You mentioned the eVTOL market. As a propulsion systems manufacturer, what is the eVTOL market going to look like versus the traditional helicopter market? Nobody has a crystal ball. What we know is that the arena of mobility is undergoing, even at the moment, deep revolutions with a lot of players, be they startups or mainstream, developing new concepts of mobility. What is interesting about these new concepts of mobility is that it’s not so much a substitute for other vehicles like helicopters, but potentially new markets. We know it is a challenge today, in megacities in Asia or elsewhere in the world, to have people moving from airports to city centers. New concepts of mobility can answer these types of challenges and it’s a market which could appear in the future. Same thing in the logistics arena. We see many … players looking at ways to move loads from warehouses or between warehouses to sort inventory. Here again, these are new missions. It’s not a substitute for existing missions. Our strategy is based on humility on the one hand, but determination on the other. We want to be part of these revolutions and we want to be at the forefront of these markets hand in hand with new players or mainstream players. We have, from a technological perspective, a portfolio which is absolutely unique in the sense that Safran Group has the capacity to combine gas turbines and electrical technology. Additive manufacturing allows you to make unique components that wouldn’t be possible with machining, but the concern seems to be that parts made with AM are not as reliable as machined parts. What are you finding? Back in November 2014, we were one of the first companies in the aerospace industry to certify additive manufacturing parts and produce them in serial production. Additive manufacturing is not about the future. It is about right yesterday and continues today. Now, your question is a fair question, which is what is the scope of parts that can be produced with additive manufacturing? There I would say it is a continuous evolution, meaning every day we push further the scope of parts that can be printed. Little by little we are exploring new territories. It’s only a question of time and research to able to enter new territories and this work is to be done hand-in-hand with certification authorities. That’s what we do quietly and moving fast every day.